Gluten-Free Living > Gluten Free > Not Just Gluten Free > Can Dairy Free Do Your Body Good? Can Dairy Free Do Your Body Good? You might remember that catchy slogan from the 1980s, “Milk, it does a body good.” Dairy products are nutritional powerhouses, full of bone-building calcium, vitamin D, magnesium and protein. While the average American drinks less milk than in the 1970s, we eat more cheese and yogurt than ever before. But what happens when dairy doesn’t agree with your body? For many with celiac and other gluten-related disorders, dairy can be a source of discomfort. Lactose is the natural form of sugar found in dairy products. Many newly diagnosed celiac patients experience secondary lactose intolerance, a result of damaged intestinal villi. This can cause continued gastrointestinal complaints such as bloating, pain, nausea and diarrhea, even when eating gluten free. 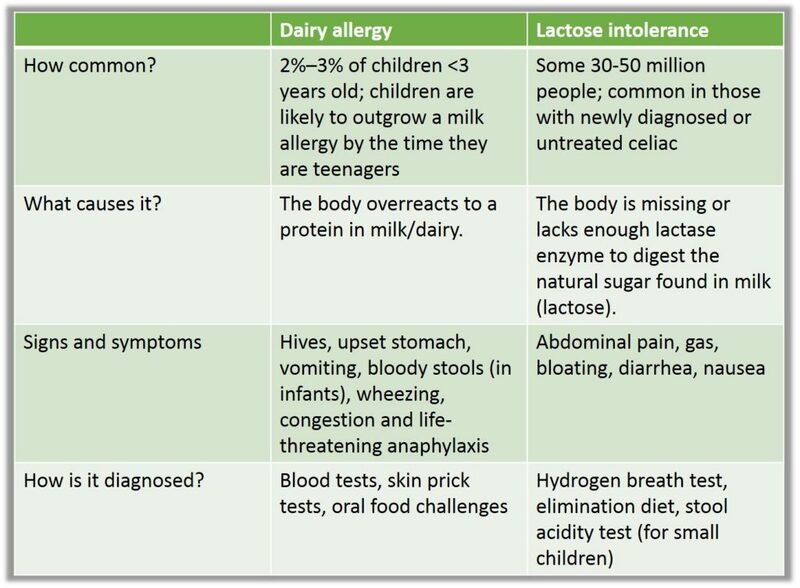 Lactose intolerance is prevalent in the general population as well; the National Institutes of Health estimates that 30 to 50 million people suffer from the condition. Those who suffer from lactose intolerance may be able to tolerate small amounts of lactose in the forms of cheese and butter or fermented foods such as yogurt and kefir. Consider taking lactase enzyme tablets or using lactose-free versions of milk and ice cream. Allergic reactions to the protein in milk are most common in children. In fact, the incidence of milk allergies comes in second only to peanuts. Fortunately, most (but not all) will outgrow an allergy to milk. On the other hand, some adults may develop allergic reactions to dairy, including skin rash, eczema, wheezing and congestion. It can also cause life-threatening anaphylaxis. 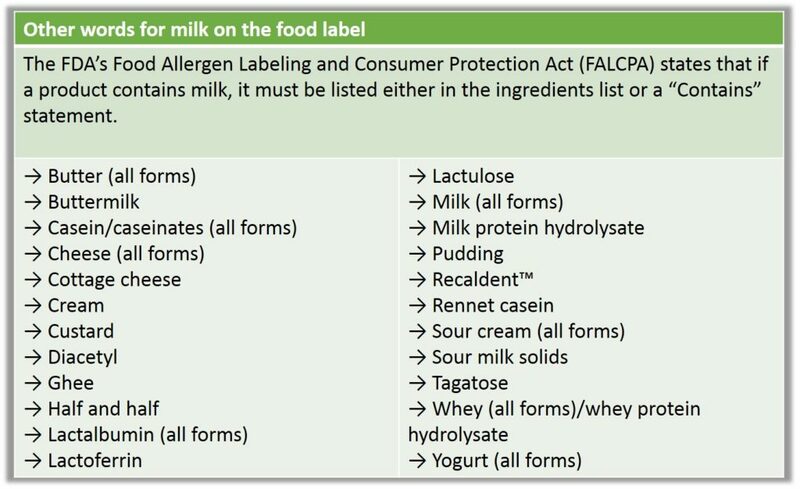 For those with milk allergies, it is necessary to avoid all forms of milk and dairy, even lactose-free items. There are fewer dietary sources of vitamin D, although it is found in fish such as salmon, sardines and cod. Our skin helps make vitamin D when exposed to sunshine, but it can be difficult for people who live in northern climates to reliably get enough sun exposure to produce adequate amounts. Passantino has already seen consequences to her bone health because of her dairy allergy. “I do have osteopenia, and I’m still young, so I know I need to pay attention to it. I try to add non-dairy sources of calcium, like kale and broccoli, whenever I can.” In addition to diet, other ways to keep bones healthy include regular weight-bearing exercise like walking, running, weightlifting and avoiding smoking. For those with deficiencies, short- or long-term supplementation with calcium or vitamin D may be necessary. Just like the gluten-free diet, reading food labels for dairy free takes practice. “One of the biggest challenges I’ve had is getting to know the other names for milk on food labels,” Passantino says. “I also never thought there could be milk in certain foods, like mustard. It can be in so many foods that you would never think of.” Learn other names for milk found on food labels in the sidebar below. Next time the munchies strike, try whipping up some or all of these crave-worthy Gluten-Free, Dairy-Free Snack Recipes and wash them down with Our Picks for Dairy-Free Milks! Want more information on adhering to other dietary restrictions in addition to gluten free? Check out our Not Just Gluten Free section!